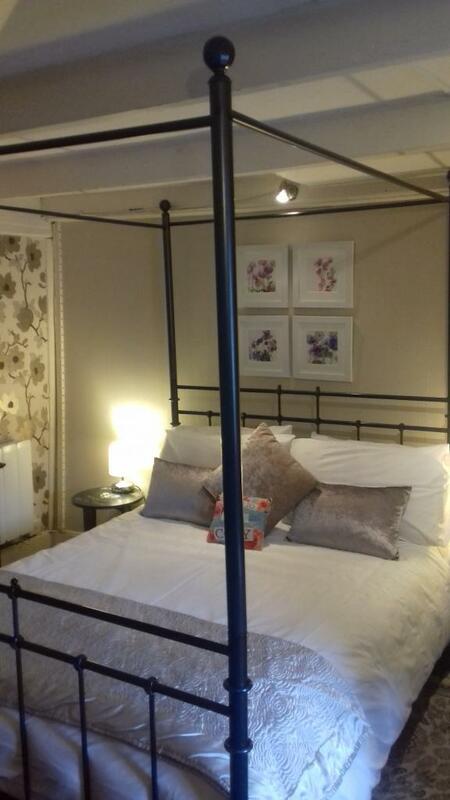 Our Heligan Room has an elegant four poster style iron bedstead with an ensuite shower room. 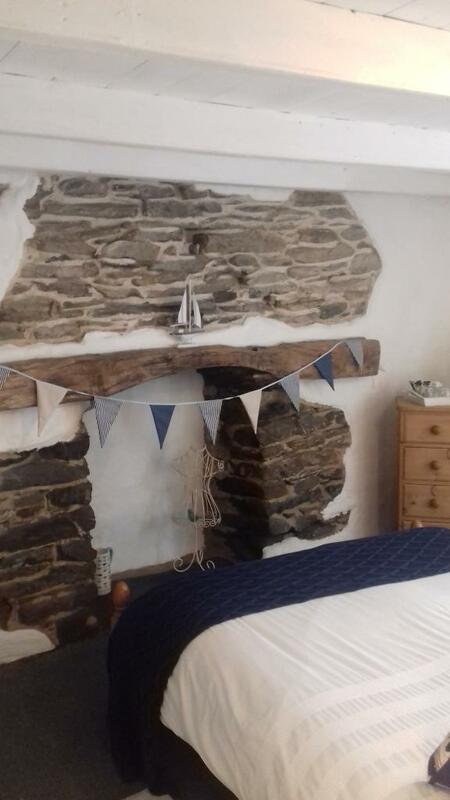 An exposed stone wall, beamed ceilings and sloping painted floorboards all add to the charming quality of our rooms.The Heligan room is equipped with tea and coffee making facilities and a television. 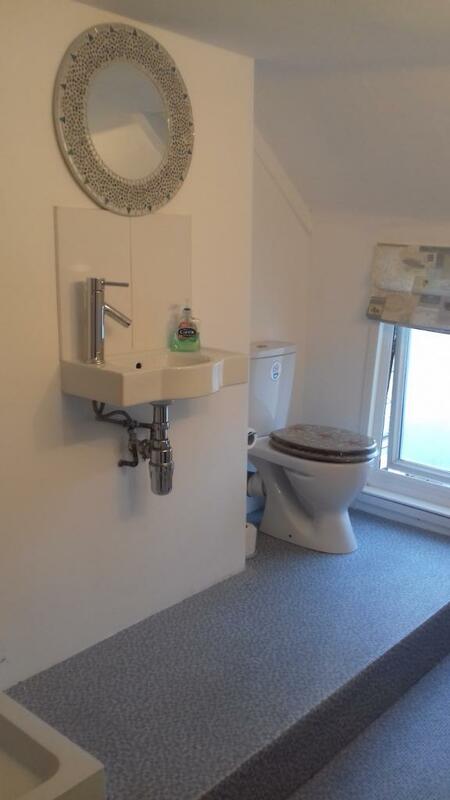 Wifi is available should you require access to the internet. 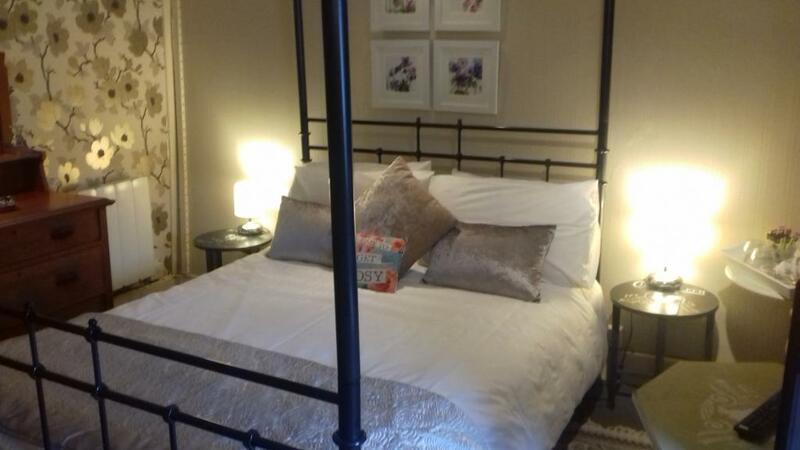 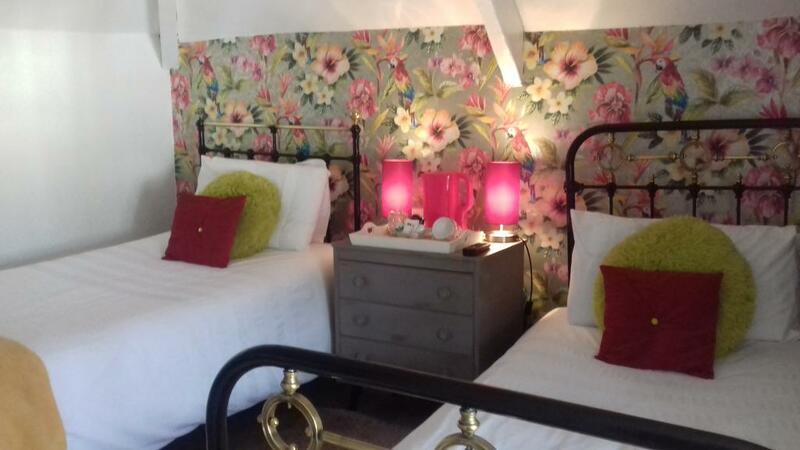 Our Eden Room has twin beds with iron bedsteads and the use of the private bathroom. 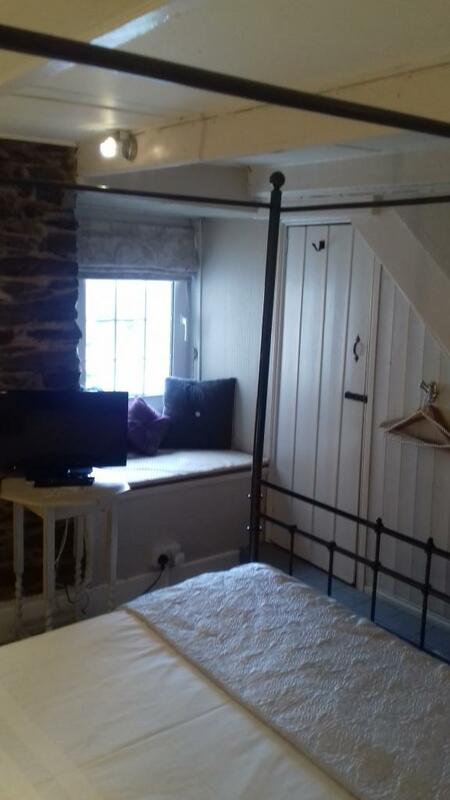 An exposed stone wall, beamed ceilings and sloping painted floorboards all add to the charming quality of our rooms. The Eden room is equipped with tea and coffee making facilities and a television. 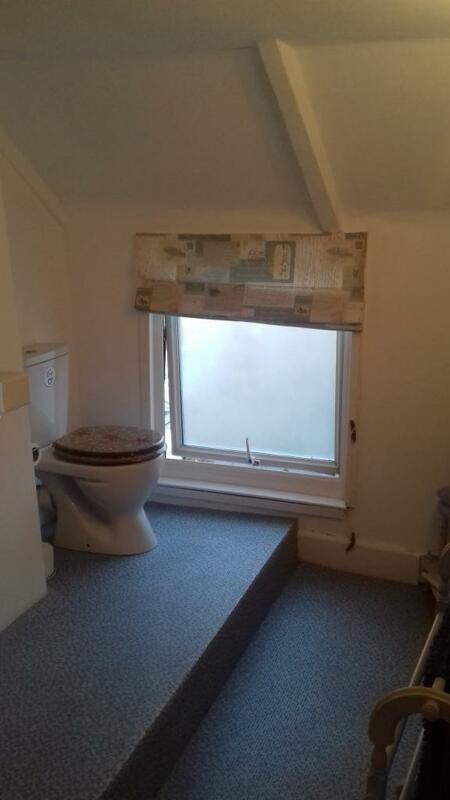 Wifi is available should you require access to the internet. 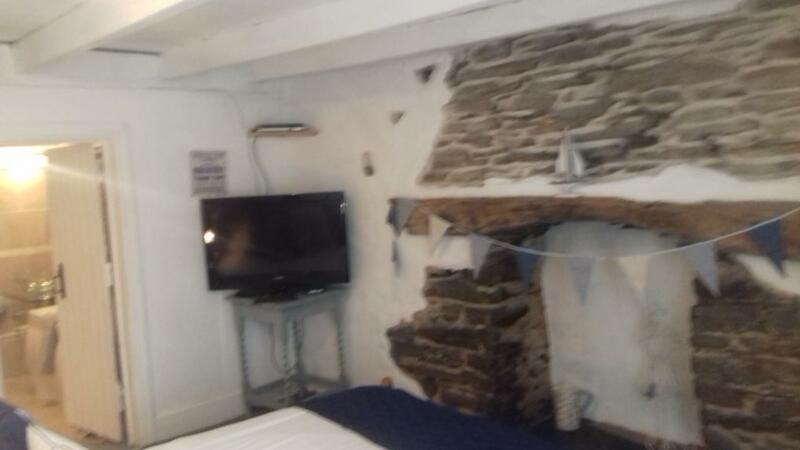 Hemmick is a delightful family size room packed with original features including stone inset fireplace with shipwreck flotsom overmantel, stone exposed walls, beamed ceilings and pretty window seat. 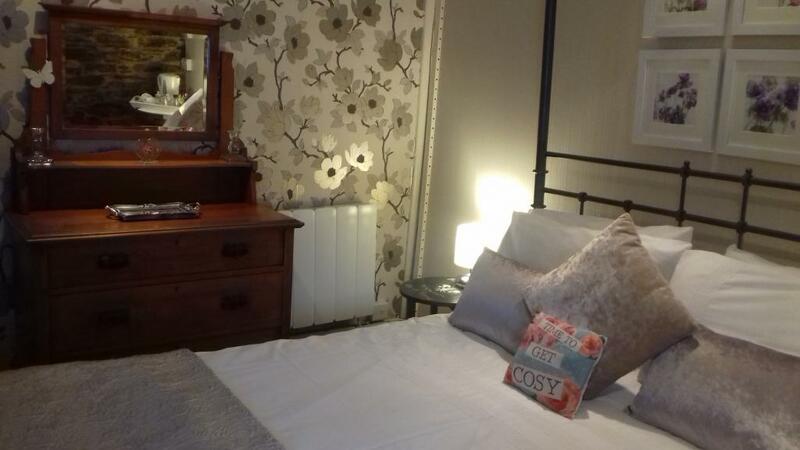 The room has tasteful vintage painted furniture, comfortable double bed, flat screen tv with freeview and tea and coffee making facilities. 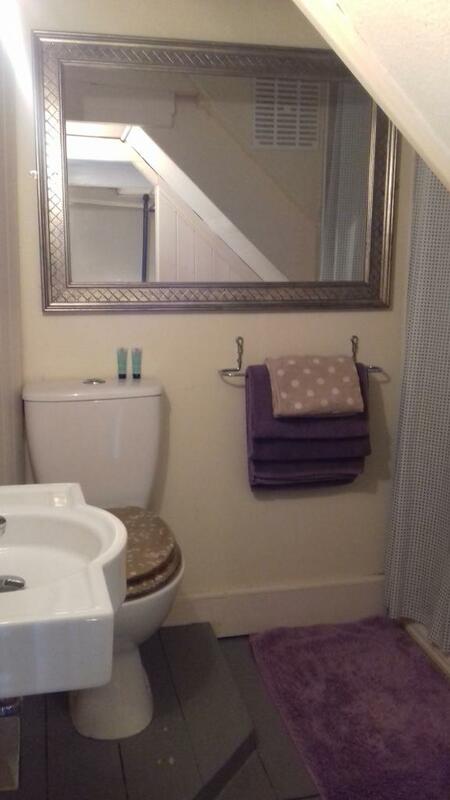 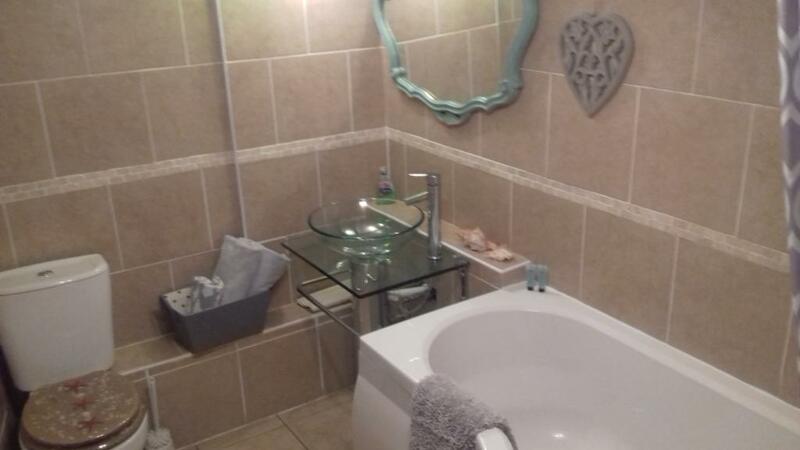 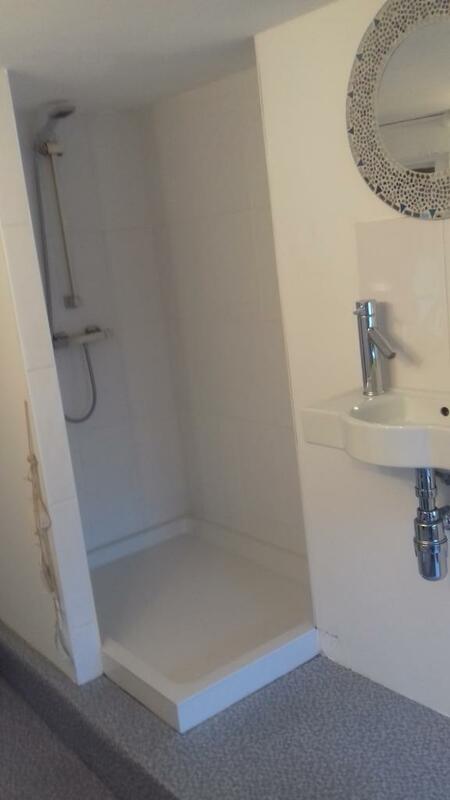 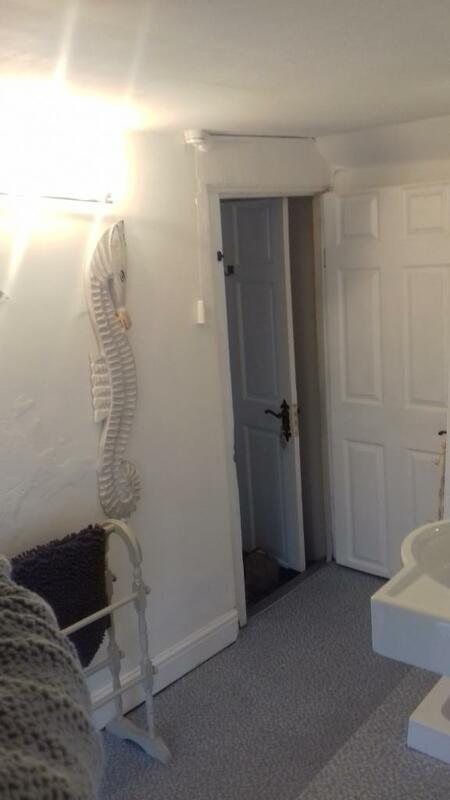 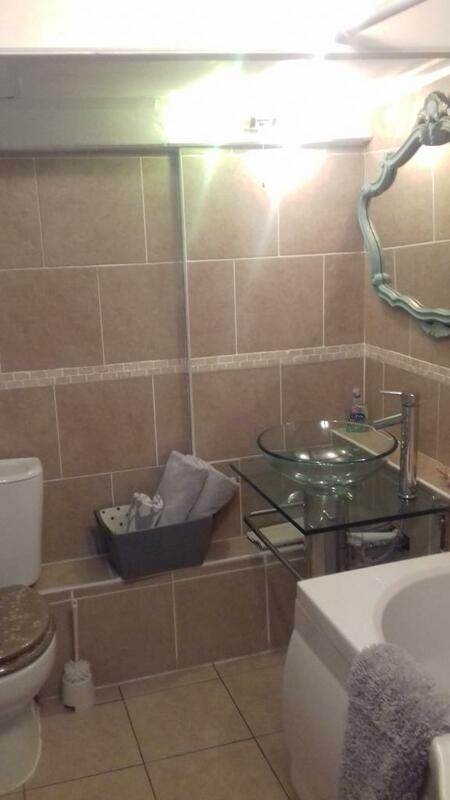 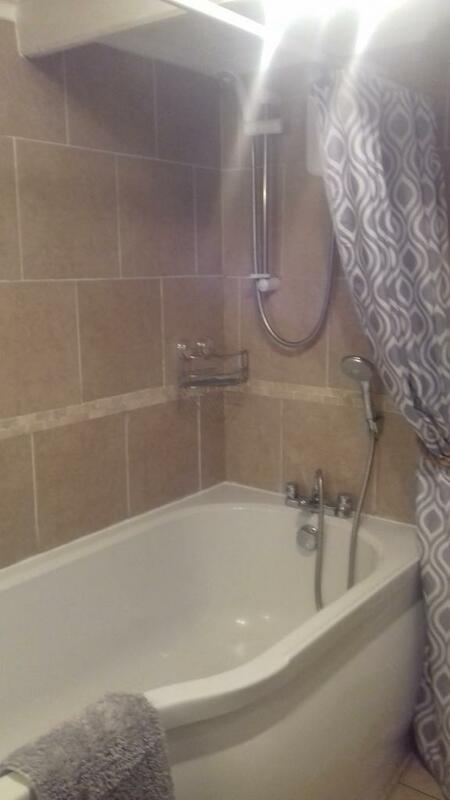 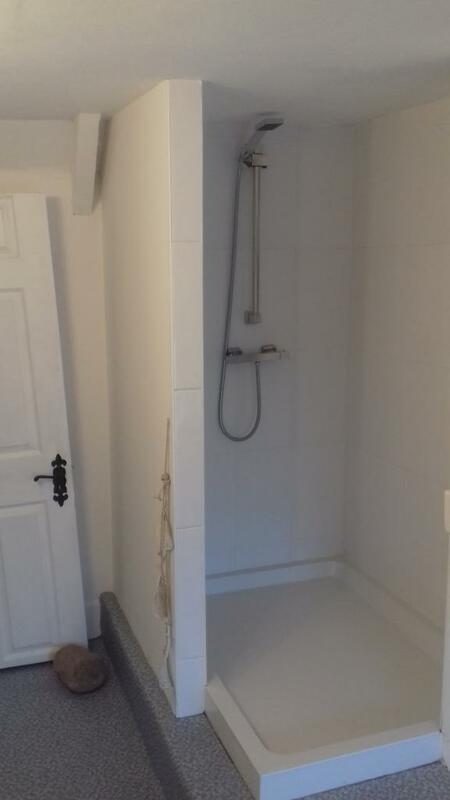 The room is complimented by a delightful modern spacious tiled en suite bathroom with bathtub and shower over, cool contemporary glass sink and low wc. 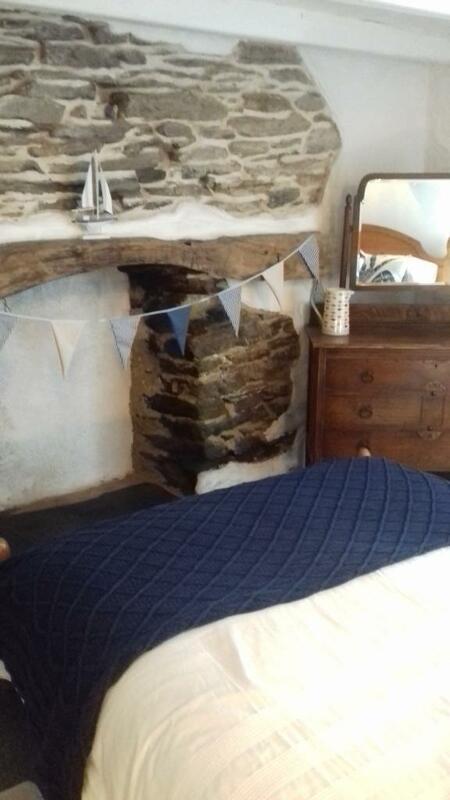 Holly Cottage endeavors to offer a rare opportunity to stay in a Cornish fishermans cottage packed with character and "quirky charm". 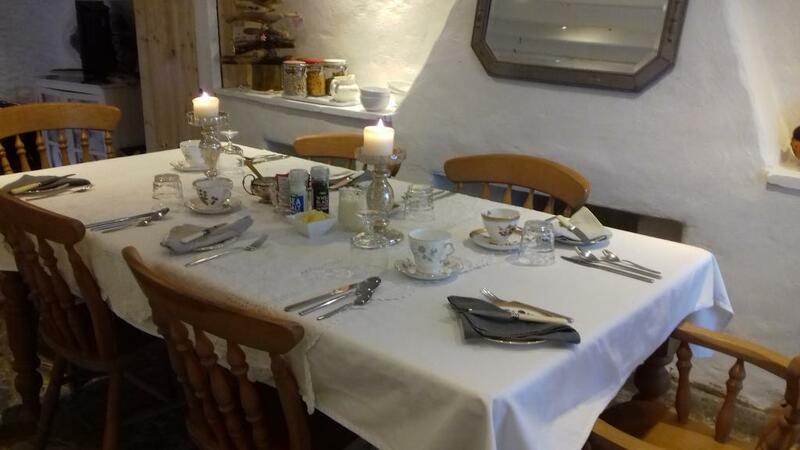 This is also complimented by candelit breakfast with vintage china, linen and silverware. 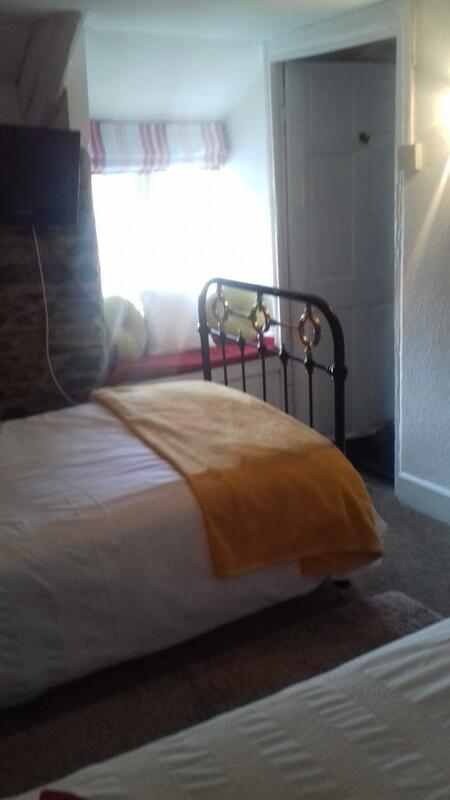 We offer three bedrooms; our Heligan Room with a double four poster bed with ensuite shower room, Hemmick family room packed full of original features with a spacious en suite bathroom with bath and our Eden Room (not suitable for guests with mobility related issues) which has twin beds and a private adjacent bathroom. Holly Cottage dates back to 1710 and has all the character of a Cornish cottage, low beams, uneven floors, feature fireplaces, exposed walls and window seats. 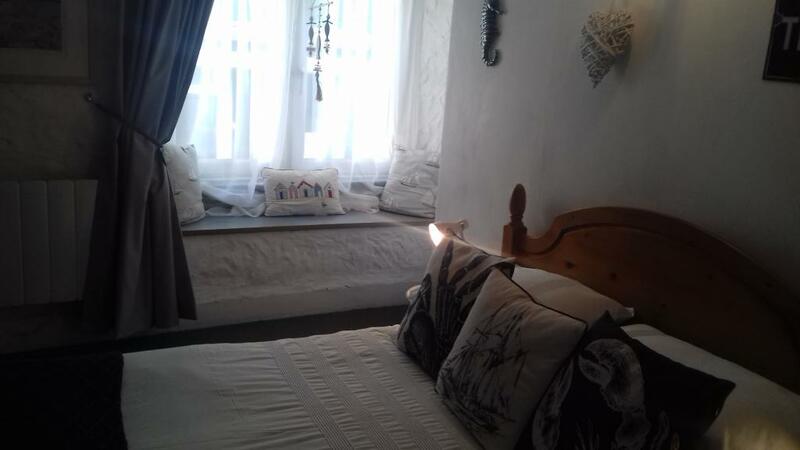 A homely experience awaits you with an emphasis on quality and a warm welcome. 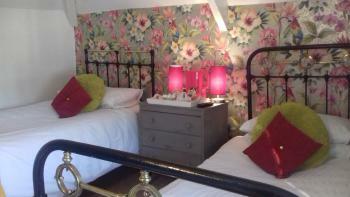 The house has a homely feel and is tastefully decorated with painted floorboards and vintage inspired china and décor. Dogs are welcome at Holly Cottage at a surcharge of £10.00 per stay. 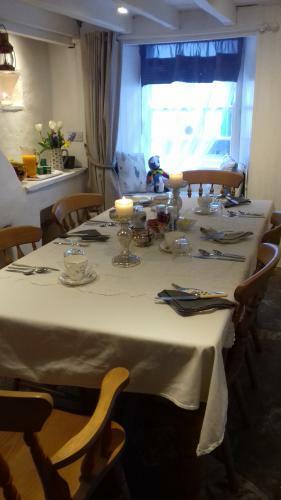 Guests have their own keys and have access to the house at all times. Discounted parking rates with Willow Car Park. From St. Austell take the B3273 signposted to Mevagissey. 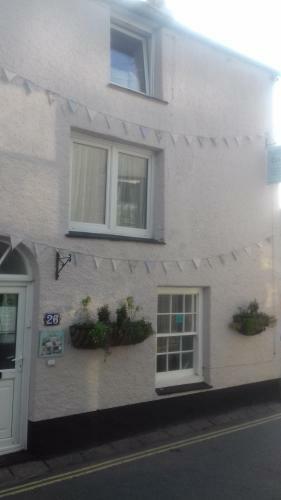 On entering the village follow the one way system which will take you left at St. Andrew’s Church and right at the Mini Market. 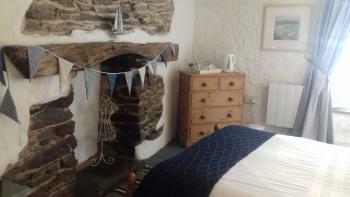 You will come to a small car park on the right hand side, which is adjacent to Holly Cottage, pull in here to unload. 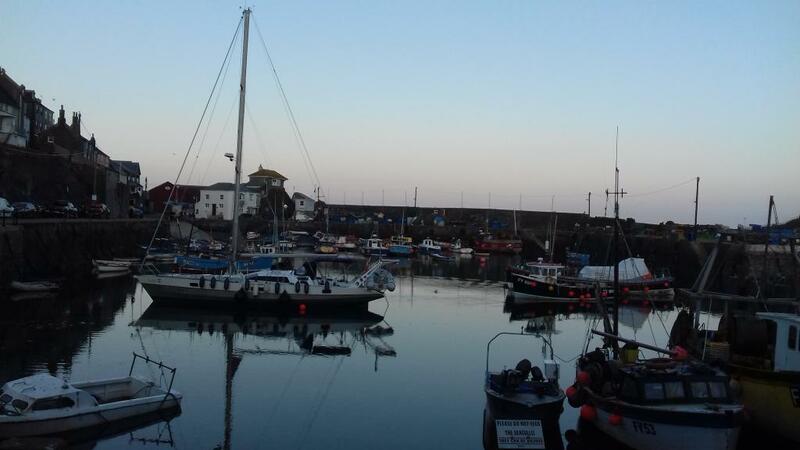 To avoid driving through the narrow streets please park in the large Willow Car park situated on the left hand side as you enter Mevagissey, this is a 5 minute walk from Holly Cottage.